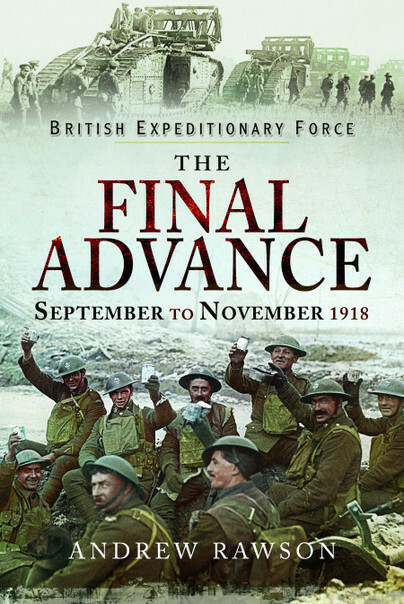 You'll be £19.99 closer to your next £10.00 credit when you purchase British Expeditionary Force - The Final Advance. What's this? This is the story of the British Expeditionary Force’s part in the final days of the Advance to Victory. It starts with the massive offensive against the Hindenburg Line at the end of September 1918. Second Army launched the first of the British attacks in Flanders on the 28th, followed by Fourth Army the next day along the St Quentin Canal. Each stage of the six week long battle is dealt with equally, focusing on the most talked about side of the campaign, the BEF’s side. Over fifty new maps chart the day by day progress of the five armies. Together the narrative and the maps explain the British Army’s experience during the final days of the First World War. The men who led the advances, broke down the defences and those who were awarded the Victoria Cross are mentioned. Discover the end of the Advance to Victory and learn how the British Army reached the peak of their learning curve. Each stage of the six week long battle is dealt with equally, focusing on the most talked about side of the campaign, the BEF's side. Over fifty new maps chart the day by day progress of the five armies. Together the narrative and the maps explain the British Army's experience during the final days of the First World War. The men who led the advances, broke down the defences and those who were awarded the Victoria Cross are mentioned. Discover the end of the Advance to Victory and learn how the British Army reached the peak of their learning curve. Over fifty new maps chart the day by day progress of the five armies. Together the narrative and the maps explain the British Army’s experience during the days of World War One. The men who led the advances, broke down the defences and those who were awarded the Victoria Cross are mentioned. Discover the end of the Advance to Victory and learn how the British Army reached the peak of their learning curve. The author has done justice to the BEF with detailed study of the 50 mile advance to Armistice in November 1918. His clear and well presented text is very ably supported by more than 50 detailed and annotated maps of all the battles and actions. He shows the strength of British combined arms tactics that repeatedly defeated the Germans. A comprehensive and impressive study of a winning BEF. The author intertwines the contextualization of developments on the battlefield during 1918, by reminding the reader that after four months of fighting off German attacks, it was the turn of the Allies to make a counter attack... Alongside the detailed aspect of each part of the Final Advance, the author finishes with a Conclusion section, summarising the wider reasoning behind the outcome of these final months of the war, such how many of the final battles involved establishing bridgeheads across water courses.